I know that a bunch of kids are going to look at these pictures and convince their parents to come to Greece on March 25th but remember some years the military parade is in Thessaloniki and those years they have parades of school children in Athens. 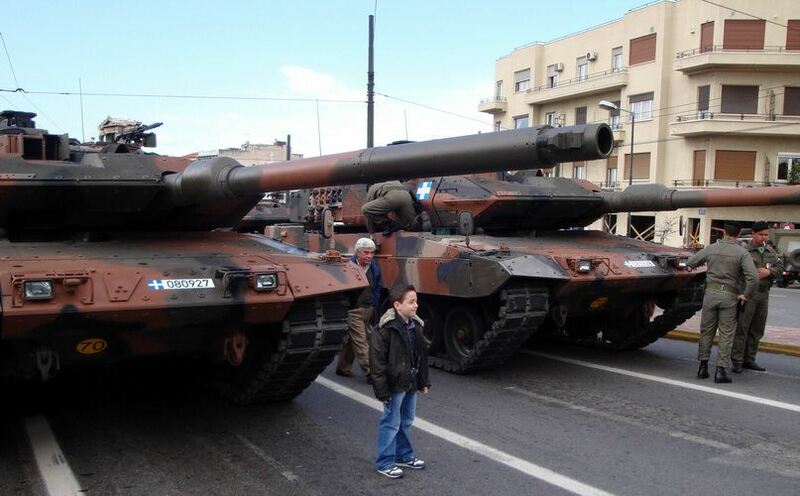 If you bring your kid to Athens to see tanks and he gets a parade of school children he may not be happy. Supposedly the years that Athens has the schoolchildren for Independence day they get the tanks for Ochi Day, Greece's other major military holiday which commemorates their refusal to allow Italy to occupy Greece which led to the ill-fated Italian Invasion which failed miserably and almost knocked Italy out of the war.